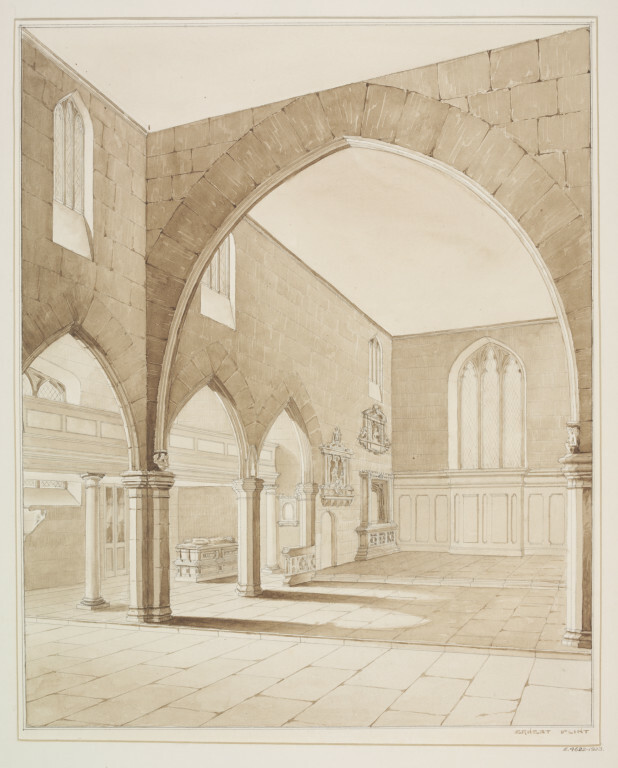 Perspective view of the Chancel of Hackney Old Church, with pointed arches. 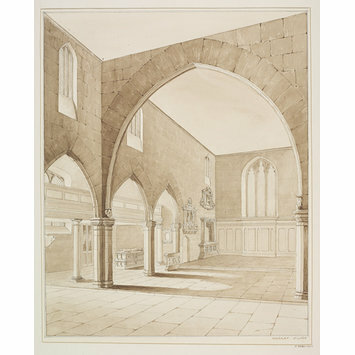 Pencil and wash drawing depicting gothic arches inside the Chancel of Hackney Old Church. Measured drawing, about 1875, by E. Flint.